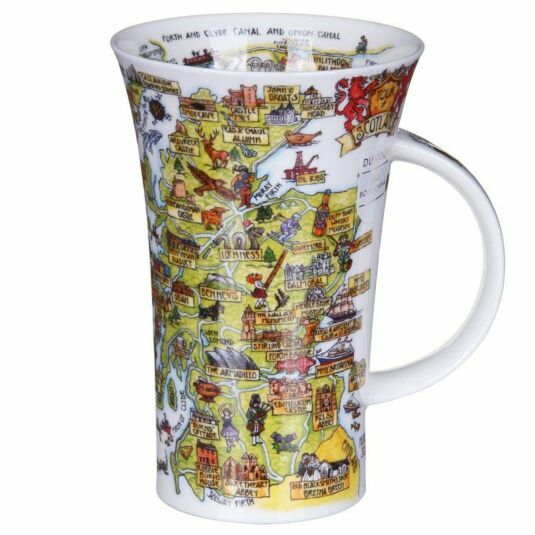 From the range of informative mugs illustrated by Caroline Dadd for Dunoon, that will educate and astound you with unusual facts and figures, this mug takes you on an illustrated tour of Bonnie Scotland. 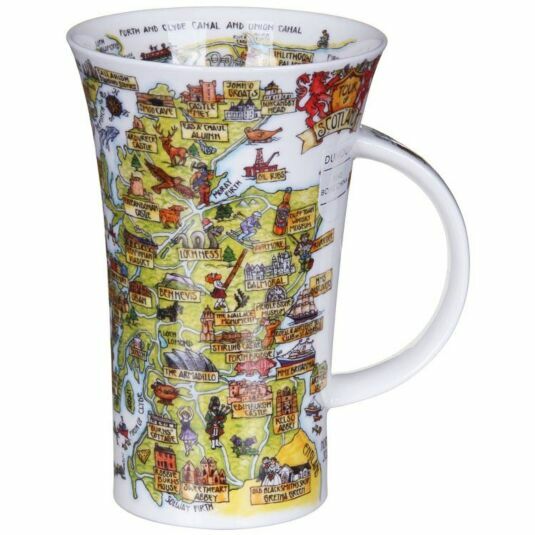 A hand-drawn map covers the mug, featuring banners proclaiming place-names, accompanied by thumbnail cartoons of associated images. Nessie appears as a prehistoric reptile wearing a Tam O’Shanter next to Loch Ness, a skier is shown beside Aviemore, the Blacksmith’s shop where so many couples have been married is pictured at Gretna Green and, of course, a china mug is depicted at Dunoon!